I’ve always appreciated flowers for their aesthetic value, but the one thing that always distresses me when I get a bouquet is they die. No matter what care I put into trying to keep them vibrant and pretty, the end is inevitable. So when I came across LavieFlo, my interest was immediately captured. In a temperate room environment, the arrangements can last years. They see themselves as specialists in preserved flora artistry, using a technique that was developed by a French company and perfected by horticulturalists in Japan and China. Their flowers—which come in multiple arrangements from bouquets, to box gifts, to belljars and terrariums—have a “best viewing period” of 6 to 12 months. The team explained that local humidity is part of why they don’t want to over-guarantee their flowers’ display lifespan. In appearance, the preserved flowers do not differ much from “fresh” blooms—but what sets them apart is that they lack the scent of fresh flowers. According to the team, the substances used in the preservation process are non-toxic, non-corrosive, non-carcinogenic, non-explosive and non-chemical reactive. The solutions and colorants are the same as those used in food, medical and textile manufacturing so the team claims that they do not represent any health or environmental risk. Launched in September 2012, LavieFlo was founded by David and Ellen, a husband and wife team. They also have another shareholder who is an old acquaintance. The capital was all from themselves and it took approximately RM2 million to start things up. Coming from various backgrounds like international trade, construction and property investment, jumping into LavieFlo was a bit of a stretch. “We decided to start this business as we’d like to own a brand that could expand out of Malaysia. We see the potential of preserved flowers being a natural product that could speak to the world,” David explained. David candidly admitted that the first three years of the business was hard. They also used Wong Choong Hann, a former national badminton player as a spokesperson for the brand, to get more attention. Pioneering an idea and breaking new ground is rarely easy. The team had an uphill task: first, they had to educate the Malaysian public on what preserved flowers were. The higher price point of the flowers was also a potential deterrent, but they found that steering away from marketing themselves as florists helped. It would be hard for them to compete with “normal” flowers, because LavieFlo’s offerings would seem pricey in comparison. For example, a bouquet of 9 preserved roses will cost you upwards of RM348. However, these flowers would stick around much longer, with much less care. LavieFlo’s preserved flowers don’t require water—in fact, you’re advised to keep them away from direct contact with moisture. Keeping them clean is as simple as taking out a hair dryer and blowing the dust off, when necessary. Although their immediate family was supportive of their new venture, David shared that their friends were less encouraging. “First of all, they highlighted the price point of the product; second that this is an labour-intensive business,” he said. He also admitted that since creativity and art are subjective, that was also something they had to work through. It took them 3 years to break even, but now they’ve sold over 30,000 units of items. Growth has also been positive; revenue grew by 200% in the first few years and then they saw 300% growth from the 3rd to 4th financial year. In that time, they’ve also revamped their business model. Back in 2012, the flower arrangements were done in China, with the preserved materials coming from a different country. However, setting up their own team here came with its own set of challenges. 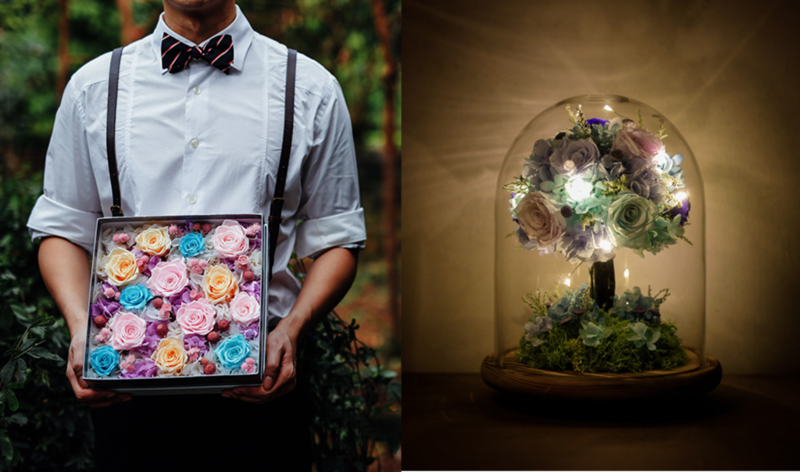 “Hiring flora designers that have experience in preserved flowers is almost impossible in Malaysia. We needed to send our team overseas for training and started in-house training for new team members,” said David. The much-anticipated live action remake of “Beauty & The Beast” also brought a pleasant surprise for the LavieFlo team. 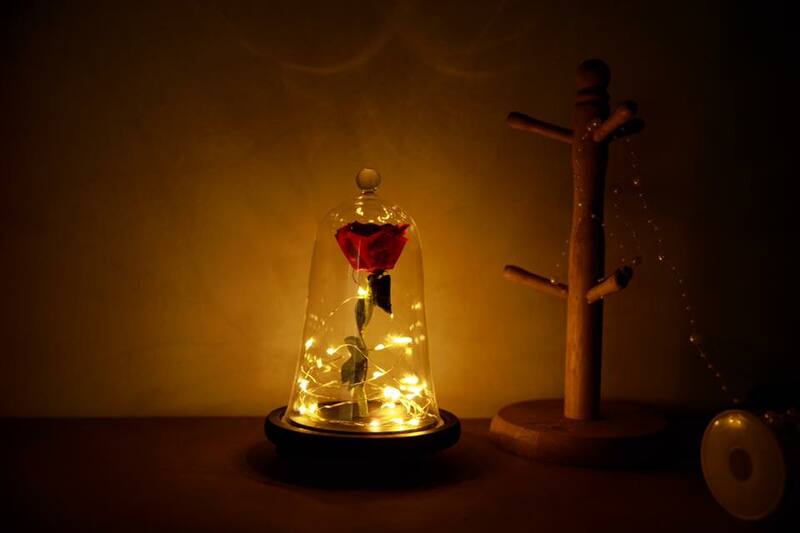 “In early 2017, the Disney regional office from Singapore contacted LavieFlo to be the official partner for the movie belljar rose,” said David. As mentioned earlier, David and Ellen started the brand because they wanted a business with international potential, and they’re already on their way to achieve that dream. 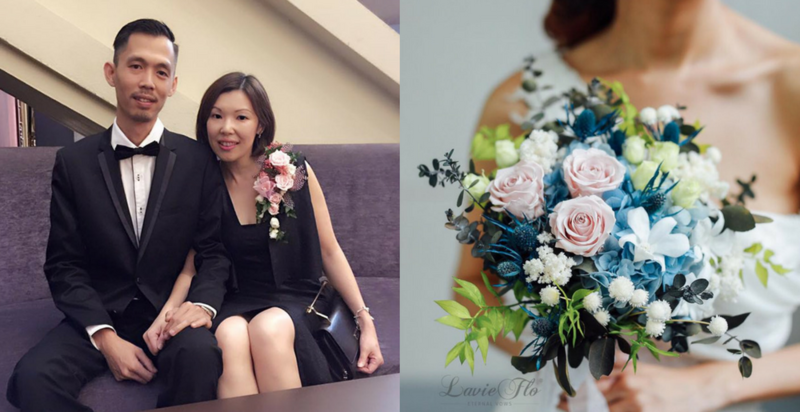 I can’t deny that LavieFlo’s flowers look gorgeous, and if you’re someone who’d always hoped that your bouquets stay around longer, then you might just be willing to pay the price to keep them with you. In fact, that’s what some brides are doing, by putting together wedding bouquets that will last long past the honeymoon.